On Sunday, the eyes of the world will be on a tiny little man named Oscar. But that doesn't mean we won't also be paying attention to five very special ladies — the women who gave us the most powerful, moving and awe-inspiring performances of the year. Her most endearing qualities are an easy smile, a youthful enthusiasm and the rare ability to be celebrated everywhere from the MTV Movie Awards to the Kids Choice Awards to random German ceremonies. So, what few realize is that Bullock is a 45-year-old Hollywood veteran whose résumé dates all the way back to bad "Bionic" TV movies. Now, after all this time, Bullock broke through with a most unlikely film: The family-friendly football weepie that cast her as no-nonsense Mom Leigh Anne Tuohy. Can she win an Oscar and a Razzie in the same week? As "Blind Side" taught us, nothing is impossible if you put your mind to it. As resilient a Hollywood talent as you're likely to find, Mirren has weathered decades as an actress and become better with each passing one. It wasn't until 1995 that she began being recognized by Oscar ("The Madness of King George," "The Queen," "Gosford Park") and mainstream audiences ("Raising Helen," "National Treasure 2"). With "The Last Station," Mirren and Christopher Plummer depicted the lives of Russian author Leo Tolstoy and his wife Sofya — and collected two Oscar nominations to go with their combined 144 years of life experience. Every year's ceremony needs an Amy Adams, an Ellen Page or a Laura Linney — an actress who comes out of nowhere, blows everyone away and, win or lose, you know you'll be seeing her everywhere soon enough. This year's honors go to Mulligan, a 24-year-old with few American credits but the talent to give a dazzling performance as a '60s London teen undergoing a major life transformation. If you don't see her onstage Sunday, don't worry — there'll be plenty more of this young actress coming your way soon, as everyone in Hollywood seems to want her in their next movie. In "Precious" she plays a teen living quite possibly the worst existence your mind could possibly imagine for someone that age. In real life, she's now living one of the best, most exciting lives one could imagine for a first-time actress. In one of the only things Gabourey does have in common with poor Precious, the actress is currently imagining herself taking the stage in a beautiful dress to massive applause. Even if the dream doesn't come true, however, she sure has enjoyed a "Precious" ride. She's the titan of trophies, the archbishop of accolades and the sultan of acceptance speeches. Sure enough, Meryl already has two Oscars — but has collected nothing but nominations since her 1983 "Sophie's Choice" win. Playing good-eats icon Julia Child, Streep often goes for breezy laughs instead of heartbreaking emotion, but she is one of the rare talents who could pull off such a balancing act. 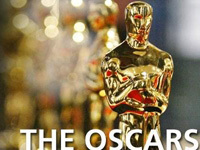 The 2010 Academy Awards are almost here, nothing but time and speculation as for the winner is left for us. MTV com. has contributed to the report.